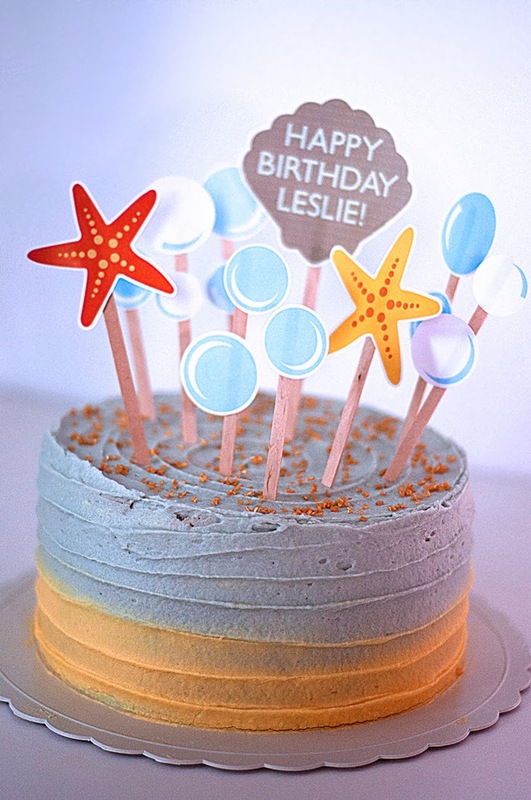 One of my closest and dearest friends celebrated his 25th birthday last week, and I was asked to bake a seaside themed cake for him. He’s a diver and loves the beach, so why not? The thing is, this turned out looking like a baby shower cake! Considering he’s one of my babies, I don’t see anything wrong with that. 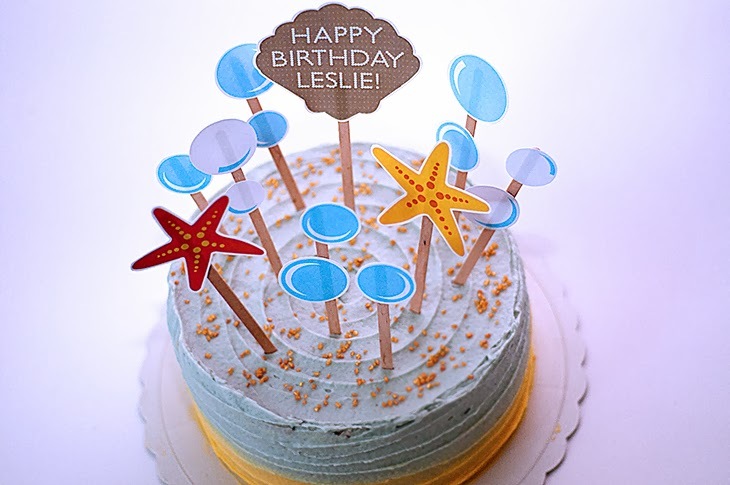 Dearest Leslie, hope you had a great birthday week surrounded by family and best friends. It’s been a while since our last holiday together, so lets go diving in May! Or rather, you go diving with E and I’ll go sit on the beach with a cheesy historical romance novel with the rest of the FFs. This blog post & recipe is dedicated to one of the sweetest, kindest, and most protective friends I have. I’m so glad to have you in my life. Place one layer top side down on a cake plate, and pipe a circle of cream cheese frosting around the edges of the cake. Fill the middle with passionfruit curd (I used about 1 cup of curd as I piped a thick layer) and place the second layer of cake on the top, bottom side down. 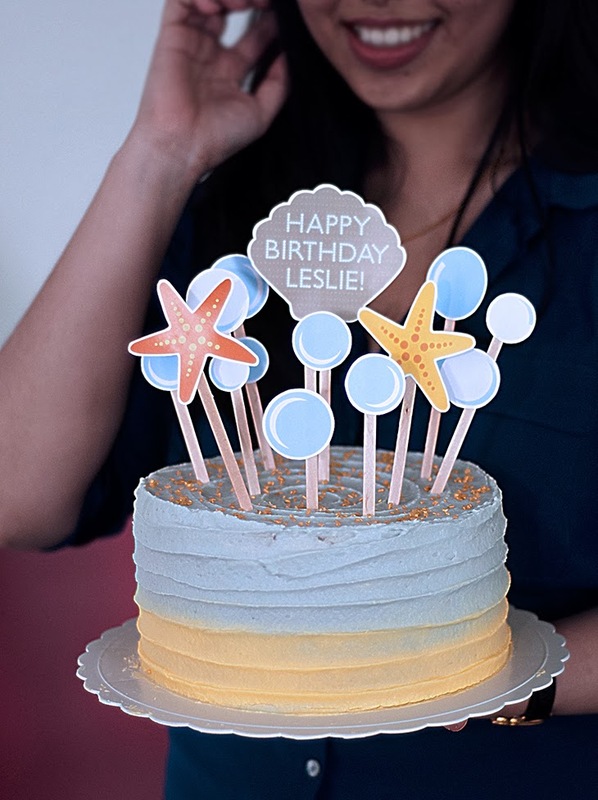 The beautiful seaside themed cake toppers you see in these pictures was made by Zurisha over at Tinytype: Propfolio, a local designer who takes orders for themed cake toppers and the like. If you’re in the KL area, you can contact her at tinytype.propfolio@gmail.com to order some or check out her instagram page @TinyType to see her work. I’m definitely looking forward to getting more of these to go with some of my upcoming dessert spreads. Hi! I chanced upon your blog and have been a fan of your recipes. Was wondering if you have a contact (e-mail) and if you can bake a cake for a birthday party on 26th April 2014. I can be contacted at elissateoh@hotmail.com.